Aviti — the right choice of residence in the virtual world! Are you ready to take your first steps or confidence to express themselves and their business on the Internet? You have to come up with a unique name, register it as a domain name, create a website and select the hosting place where everything will be placed. At first glance - everything is simple and clear, and at the same time, a lot of questions - what, where, how, how much, who will do it? We know the answers to almost all your questions, because it is our job! Are we the only ones - no! Unique - yes! Thanks to the optimal ratio of experience and willingness to innovate, and the ability to listen and understand all the requirements and wishes of the client, and then prepare and justify him the most rational solution, able to offer a wide range of universal tariff plans for the most selective customers and quickly develop a special offer for business a custom order. Have we convinced you? Welcome home, in Aviti! Shared Hosting from Aviti — is the minimal cost on your part and decent software with ours. All hardware configuration and tariff plans “virtual hosting” chosen so to offer you the highest quality and cheap hosting. To buy virtual hosting simply choose your favorite tariff plan in the “Hosting” and then click “order”. Why we do not have free hosting? Because all quality has its price! In the technical support you can contact by phone, email, online chat. VPS hosting from Aviti — optimal choice of hosting, if your project “closely” in the virtual walls of web-hosting and want to reach a new level, and still be within your budget. It will be a really “your” server on which you will have full control, super-user rights ROOT, install the operating system, configure all the services , control all the processes themselves. Do not be a guru to manage the server - a user-friendly control panel provides an intuitive understanding of the processes of adjustment and control. If necessary, and at your request we will provide advanced technical support service. High-speed access and performance is achieved by using SSD drives. Dedicated servers from Aviti — if your project has reached in its development level of a large internet portal, shop luxury class, or simply you do not need “neighbors”, opt for rented dedicated server - the only right decision. Aviti offer you a variety of platform configuration for maximum performance and the best price. No additional costs for the assembly and installation of the server! Multiprocessor and multi-core platform, an impressive amount of RAM, RAID-arrays at various levels, the combination of SAS and SSD allow to rent a dedicated server, the characteristics of which will satisfy your requirements at an affordable price. 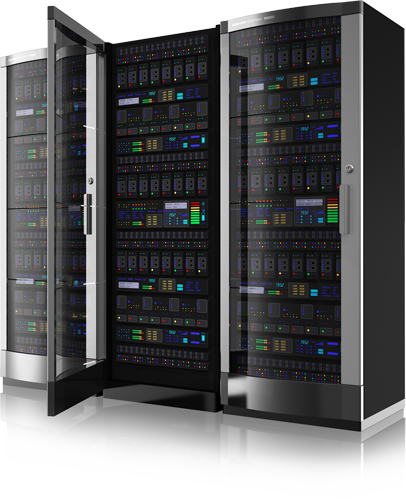 At your request, we will place your equipment in your own data center. Domain registration — domain name registration (domain) is quite the creative process and responsible step. Name your project, its ease of memorization, pronunciation, writing, positive perceptions - are the key components of bright, successful individual and the name of your resource. If creative “flour” and select the name of a flight of fancy of your resource lies entirely on you, then everything else you can do with Aviti - quick, easy and inexpensive to buy, register, renew, transfer or “park” liked domain name (domain)!